Manager Dom Di Paola has turned his attentions to his management team, as the club welcomes Simon Funnell to his list of backroom staff. Funnell, formally a striker for Brighton and Hove Albion before joining Worthing, took over as manager at East Grinstead in 2011 and guided The Wasps into the Ryman League, after they finished runners up in the Sussex County League in 2014. Despite working hard to try and establish The Wasps in the Ryman League, he left the club the following season by mutual consent in November 2014. 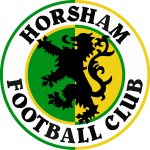 Last season Funnell was appointed Assistant Manager at Chipstead before overseeing a brief spell in charge of Shoreham in the Southern Combination Premier Division. We wish Simon all the best with us.